I can still smell the fresh, made-from-scratch biscuits from Hardee’s……as they arguably have the best breakfast biscuits on the planet. What I would give to sink my teeth in one of their sausage, egg and cheese masterpieces! But unless a magical pill pops up, those buttery days are gone. But, thanks to General Mills, I’ve got an awesome GF choice every morning. 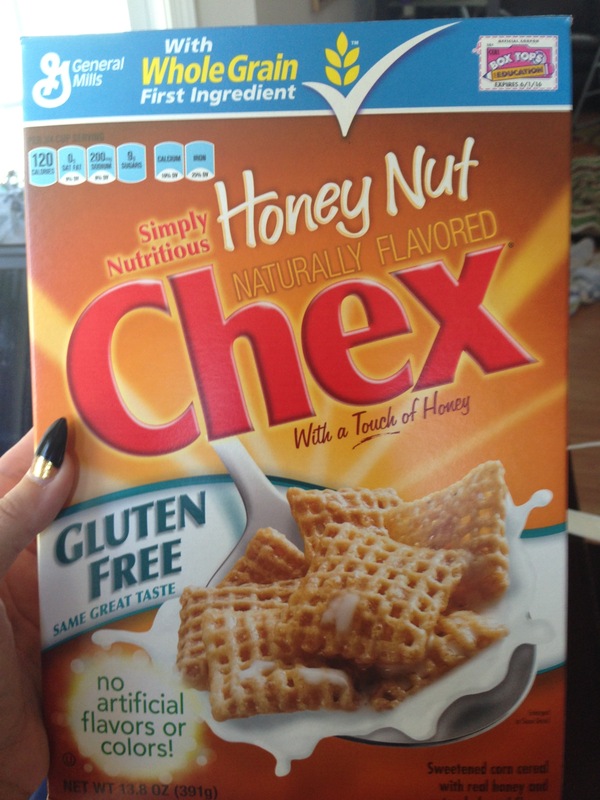 Now I’ve always been a Cheerios kind of girl when it comes to cereal so I’ve been in love with my Gluten Free option in Honey Nut Chex. The taste is even better and with my good ‘ol whole milk, its a fantastic option for breakfast! This entry was posted in Uncategorized and tagged biscuits, breakfast, cereal, Cheerios, cheese, eggs, General Mills, Gluten free, gluten free diet, Hardee's, healthy choices, Honey Nut Chex, meals, sausage on May 17, 2013 by Miss Gluten Free. I'm a former Miss USA that lives for food.....just now I have to keep it in the Gluten Free family. I'm Gluten Intolerant and have been GF since October 2011. My passion for food remains the same and I'm eager to share my fav products, recipes and my story. Get Glam Gluten Free Hair! My Gluten Free Discovery: What are the symptoms?